Kerala is often termed as one of the ten heavens of the world. It consists of long palm tree shorelines, delightful streams, devout inland water bodies and quiet, green air. Aside from wonderful green hills of Wayanad and Idukki, shorelines like Kovalam and Varkala and backwater goals including Alleppey and Kumarakom are among few of the features of Kerala. Encompassed by coconut trees, the long coastline offers fishing opportunities. The backwaters, natural life havens, mountain ranges and shorelines give you euphoric joy. The heavenly quietness revives your psyche and body. The term that is used to describe Kerala is 'God's own Country'. It is a place that is famous for its educated and simple living citizens. Another significant aspect of Kerala’s popularity is its wildlife. With monkeys and elephants in bounty, these rainforests are evergreen. 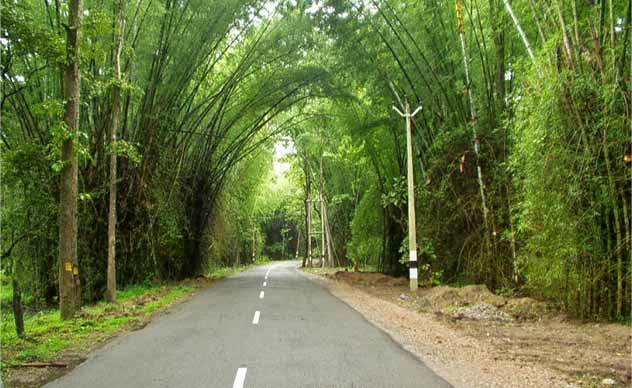 There are variously safeguarded and conserved destinations in Kerala. Hence, the wildlife here is here to stay for long. Macau or the Indian sloth bear found here are some of its principle wildlife attractions. Kerala is a state in South India on the Malabar Coast. It was formed on 1 November 1956 following the States Reorganisation Act by combining Malayalam-speaking regions. Spread over 38,863 km2 (15,005 sq mi), it is bordered by Karnataka to the north and northeast, Tamil Nadu to the east and south, and the Lakshadweep Sea to the west. With 33,387,677 inhabitants as per the 2011 Census, Kerala is the thirteenth-largest Indian state by population. It is divided into 14 districts with the capital being Thiruvananthapuram. Malayalam is the most widely spoken language and is also the official language of the state.